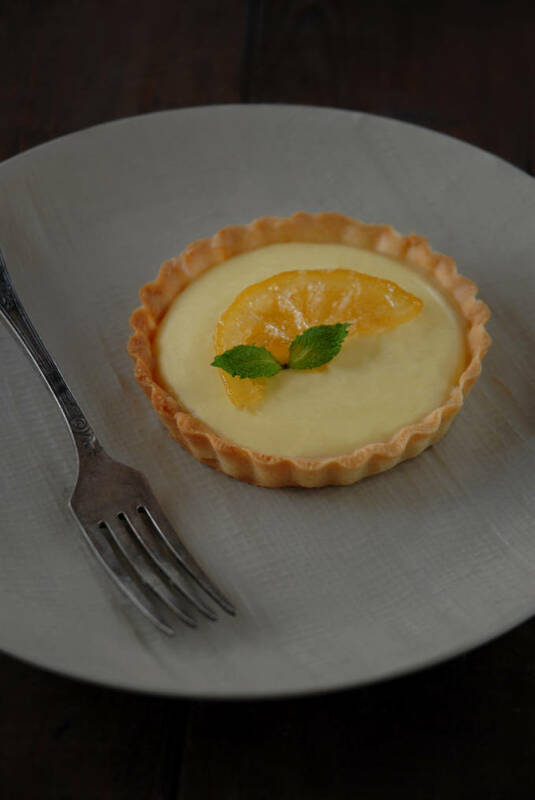 These lemon tartlets are light and refreshing, yet contain over a pound and a half of butter. I was quite impressed that I was able to fit so much butter into such a seemingly light dessert. Less impressive, however, was the plate that I was able to smash to pieces while making these. I had grabbed some butter out of the freezer and placed it on a flowery porcelain plate. I use the flowery porcelain plates since I can just throw them in the dishwasher, unlike most bowls. Also, they’re flowery. That is a big plus. Naturally, I thought that cutting frozen butter on a plate was an excellent idea. I grabbed my serrated knife out of the drawer and slid it effortlessly across the butter’s foil wrapper. As my knife hit the frozen block beneath the foil, I decided that pressing vertically down as hard as I could onto the knife would be a great way to cut off the chunk that I required. A piece of butter (which, might I add, was the size I needed) broke off from the rest. Unfortunately, a portion of the plate also broke off. Multiple portions broke off, in fact. Porcelain sprayed all over the kitchen; a shower of glass. I had cut myself too. My index finger was bleeding. My finger was bleeding only slightly though when compared to the time when I cut my wrist with the biggest chef’s knife in the house. I was seven, and had drawn a picture of a snowman on a piece of cardboard. I intended to cut out the snowman and colour it, but I had misplaced my pair of yellow scissors. I skipped over to the kitchen, grabbed the biggest knife I could (I figured it was the most logical tool to cut cardboard with), and ran over with it to my brother R in the adjacent room. “Could you cut this out for me please?” I asked him as I smiled and held a piece of cardboard with an elegantly drawn snowman in one hand and a giant knife in the other. He couldn’t hear me though. He was wearing headphones and watching some program on the Discovery Channel. I walked back to the kitchen and decided to cut out the snowman myself. I realigned my grip on the knife, tightly wrapping my small fingers around the handle. I pressed the tip of the blade to the cardboard as hard as I could. I didn’t really understand how knives worked back then. I thought all I had to do was press and the knife would cut out whatever shape I wanted: snowman, reindeer, a slice of tomato, whatever. The cardboard slipped and the knife flew back and pierced my wrist. I started to bleed. Worst of all, my cardboard snowman turned an ugly shade of red. I was pretty set on a shade of blue with slightly lighter blue stripes. I had to draw a new one. Boo. I apparently can’t use a knife any better now than ten years ago, since I managed to both break a flowery plate and cut myself in one go. Hey, actually, that’s pretty impressive. I was able to both break a plate and cut myself. Usually I only do one or the other. Lemon tartlets with Pierre Herme's slightly adapted buttery pâte sucrée, lemon cream, white chocolate ganache, and candied lemon slices. Cream the butter with a mixer until smooth and creamy on low speed using the paddle attachment. Add the sugar, salt, ground almonds, vanilla extract, and the egg. It is alright if your mixture looks curdled. Add the flour one tablespoon at a time and mix until the dough just comes together and is not terribly sticky. If you don't use all the flour that is alright. Wrap the dough in plastic wrap and refrigerate for two hours. Slice the lemon using a mandolin or a knife into even, thin slices (note: they should be thin but not so thin that they are difficult to pick up) while boiling a pot of water. Place the lemon slices in the pot of boiling water for three minutes. Meanwhile, bring a cup of water and the sugar to a simmer in a pan. Remove the lemon slices from the water and place in the pan, making sure the lemon slices are spread out. Simmer on low heat for thirty minutes, or until the peels are translucent. Remove and let cool on parchment paper. Remove the dough from the fridge and roll out on a well floured surface. Place the dough in your tart pan, cut off the excess dough, and place in the freezer for fifteen minutes while preheating your oven to 350°F. Remove from the freezer and dock (poke holes in) the dough with a fork. Place a piece of foil or parchment paper onto the dough and fill with rice or dried beans to weigh down the dough while baking. Bake for twenty minutes, remove the rice, beans, and parchment paper, and bake for five more minutes. Remove from the oven and let cool completely before removing from the ring. Bring the cream to a simmer and place the chocolate in a bowl. Pour the cream over the chocolate and let stand for five minutes. Stir slowly until incorporated. 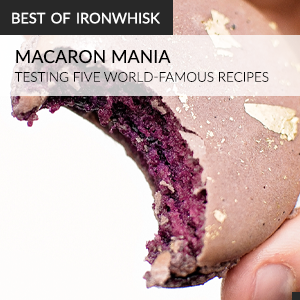 Pour a little bit of ganache into each shell. Bring a saucepan of water to a simmer. Meanwhile, set up a blender or a bowl with an immersion blender. Combine the sugar and lemon zest in a metal bowl that can fit over the simmering pan of water. Rub the zest and the sugar together until fragrant and moist. Whisk in the eggs and then the lemon juice. Place the bowl over the saucepan and whisk until the cream slightly thickens and reaches ~80°C. Sieve the lemon cream into the blender or other bowl and cool to at least 60°C. Blend on high speed while adding chunks of butter. After all the butter has been added, continue to blend for four minutes so that the cream is smooth and light. Pipe or spoon lemon cream into the tart shell. Place a slice of candied lemon on top. Garnish, if desired, with mint. the old, “cut out my snowman with a knife” trick. Rookie’s mistake. This tart looks boss though! Sorry you cut yourself :( You have a funny way of telling stories, though :) This tart is so delicious looking! Great looking recipe Ilan. I am going to do a version of these for Mother’s day brunch! Thanks for the inspiration. PS I enjoyed your story too! Amazing. Pinning this for when I have a lemon craving.